Limited Edition of 15 worldwide. Beautiful Kenzie is the artist's work of Dianna Effner for Boneka. Her clothing is designed by Rosemarie Ionker for Boneka. The dolls are 25cm tall, made of hard vinyl but that look like porcelain. 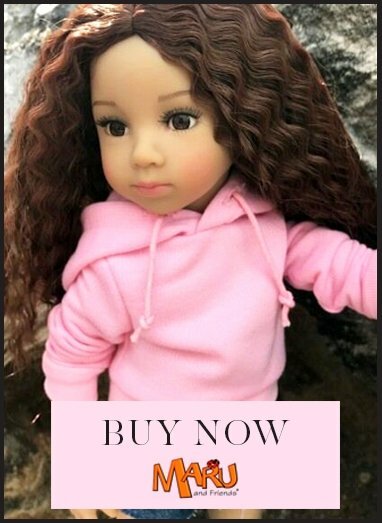 Kenzie is caucasian with hazel hand painted eyes and a red Monique wig. Kenzie has a Monday's Child face and body, and stands more on her right leg than her left.